The Digital Countdown Electronic Chess Clock is difficult to find these days. It was designed and produced in the UK. in the 1980s. It is one of the earliest electronic countdown clocks and was designed by Garreth Williams, a well respected London chess collector and author. 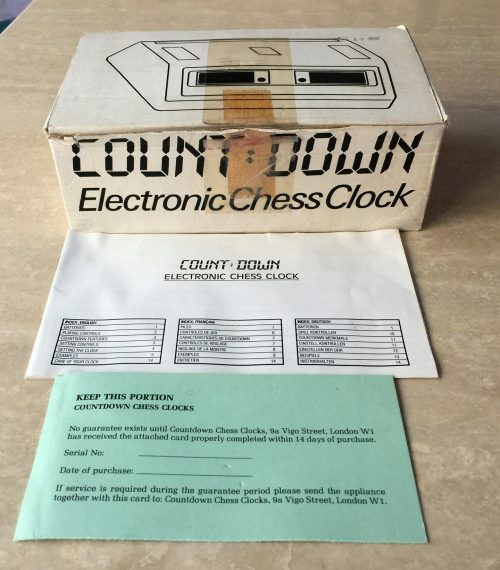 This digital game timer is quite heavy and utilizes six “C” batteries. 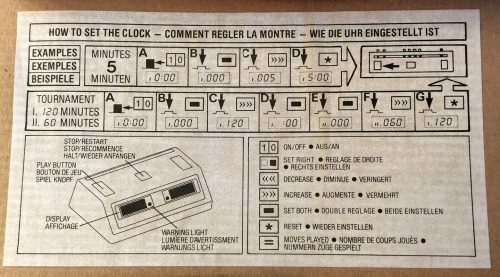 The memory can handle two time periods and has “claim” and “normal” modes. 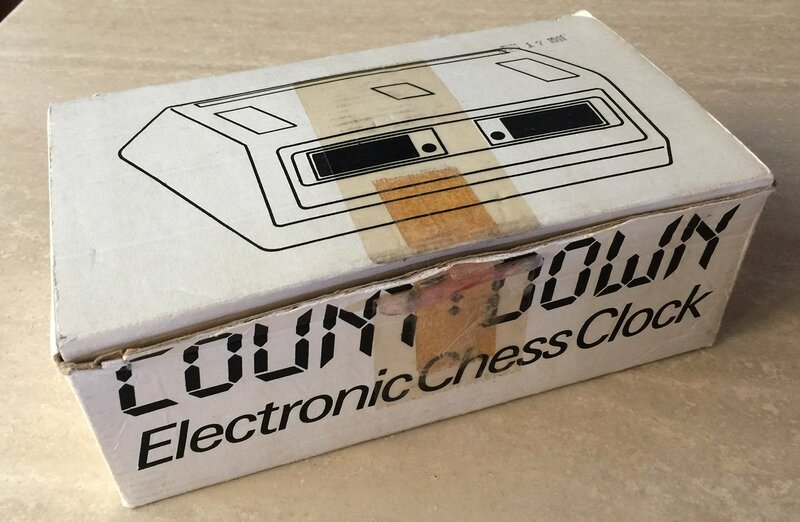 The time control is set as “x” moves in “y” minutes. The matte black plastic case measures 8″ wide by 4-1/4″ deep by 2-1/2″ tall. 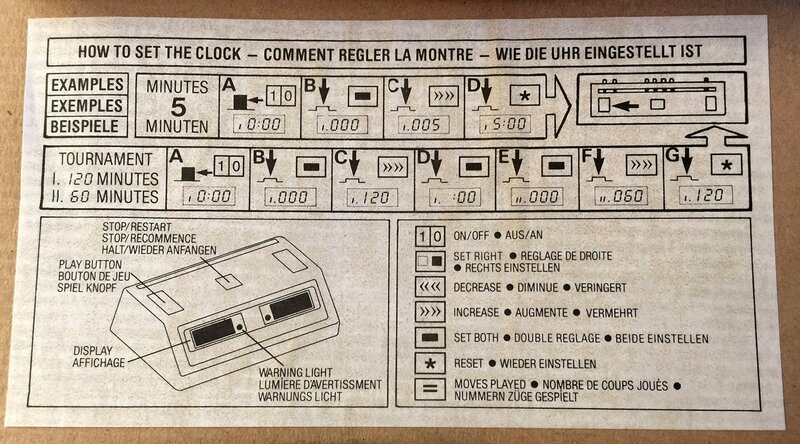 The clock is in good working order and has its original cardboard box and instructions.